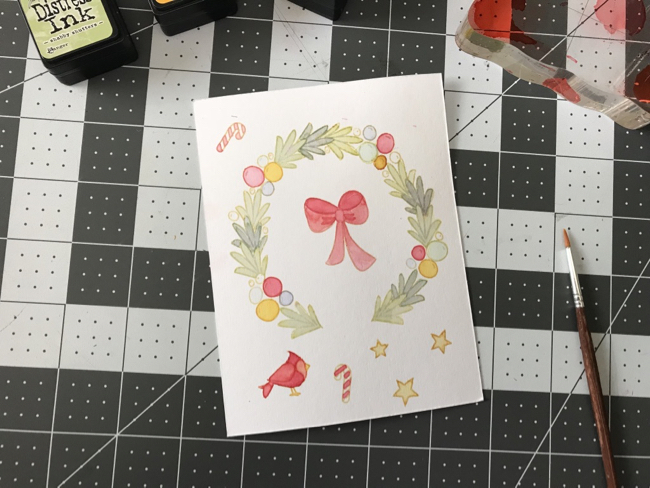 Katie here to share one of my very favorite techniques, No Line Watercoloring, featuring the Festive Wreath stamp set and the coordinating Festive Wreath Elle-ments die. 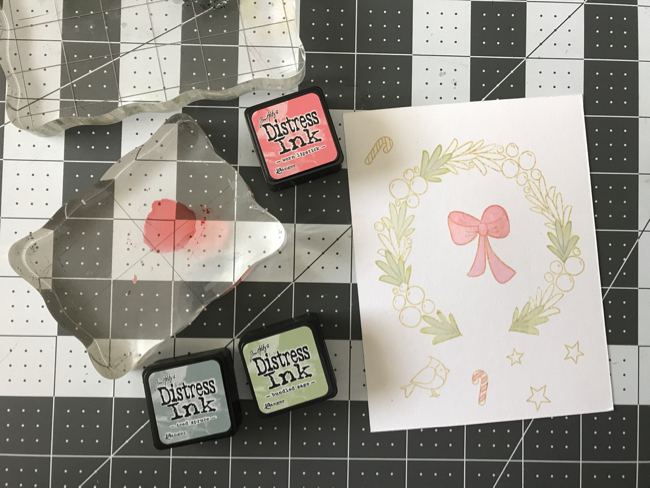 The trick to any "no line" technique is using the right color of ink to stamp your lines. You want to use a very light color ink so that when additional colors are added, the lines disappear or take on the pigment that you are adding to the image. For this technique, I like to use Antique Linen Distress Ink, but other light inks work too such as light pinks or light grays. I stamped the images from the stamp set in Antique Linen Distress Ink and then I began to watercolor using other shades of Distress Ink. I smooshed the ink cubes onto an acrylic block and spritzed the ink with water to create an ink wash. Using a fine point paintbrush, I began adding color to the stamped images. The most important pieces of advice I can share is to allow layers of watercolor ink to dry completely before going back over the same area with more ink to deepen the color or to color in an adjacent area. If two wet areas touch, the ink colors will bleed and blend together and that may not me the look you want. A paper towel to blot us extra water and a heat gun can help speed things along if you are impatiently waiting for your images to dry. Once everything is colored in, you can add detail back to you images using a fine tip pen. On the finished card, I used a gray pen to add some detail to the bow and the eye to the cardinal. I used a white gel pen to add some highlights to the ornaments and the bird's wing. 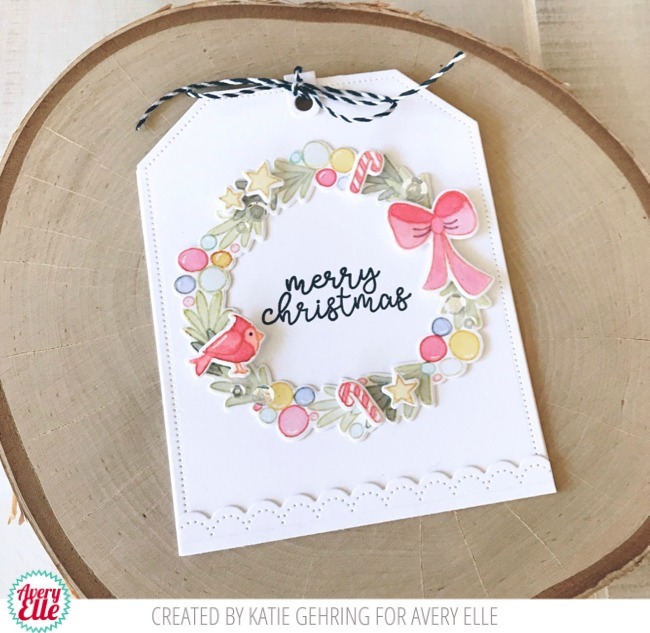 I adhered the wreath to a card base I made using the A Tag for All Elle-ments die. 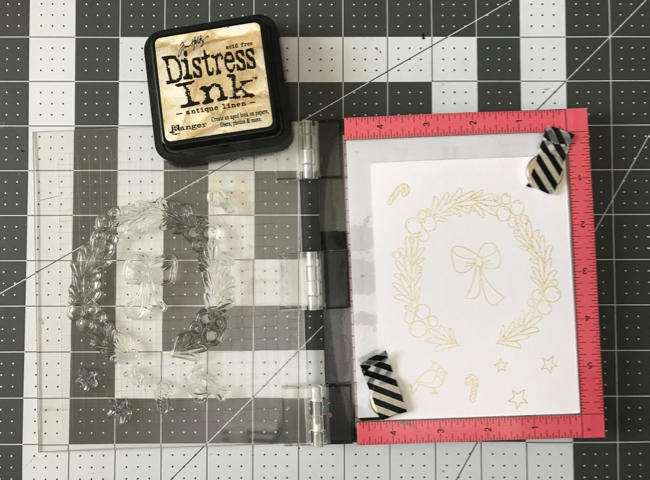 I stamped the sentiment with black ink and popped up the stars, candy canes, bow, and bird with foam tape. 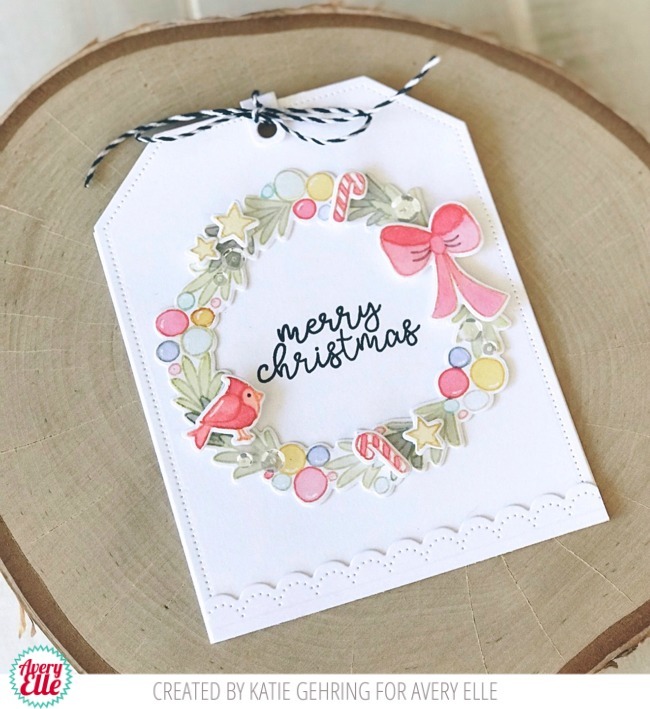 I adhered some clear sequins to the wreath and added a sweet scalloped border using the Dotted Borders Elle-ments die to the bottom of the card. I finished off the card with some Midnight Hemp Twine tied into a bow. I hope this inspires you to try a little "no line" coloring on your next paper crafting adventure! Thanks for stopping by! "THANK YOU for sponsoring the 2017 Cat Lovers Hop at Her Peaceful Garden!" Wreaths are one of my favourite designs for Greetings cards and yours is absolutely beautiful !! I wanted to say thanks to Technique Tuesday for being a sponsor for the 2017 Cat Lovers blog hop at Her Peaceful Garden. 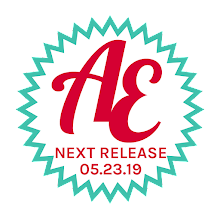 Welcome to Avery Elle's design blog, a space to share fun ideas and inspiration. Thanks for taking time out of your day to visit us. We truly appreciate it and love visitors!! 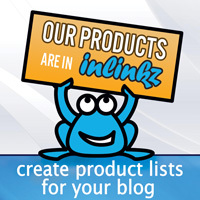 Please feel free to use any of our projects or tutorials as inspiration for your personal projects. If you post information related to any of our projects on blogs, websites, or other public forums, we ask that you please link back to this blog rather than copy and paste any of the information. Thanks!